There’s no denying the Filipinos’ pasalubong culture—we all love to shop for treats, be they keychains or local food products—when traveling. A portion of one’s traveling budget is always reserved for souvenirs for family, friends, or even mere acquaintances. Packaging clues in travelers on the price, quality, and uniqueness of an item. After all, consumers judge a product by its looks, whether it be bottles for liquids or paper wrappers for traditional rice cakes. But more than these obvious factors, packaging serves a handful of important purposes: it ensures the quality of the product, it provides information, it serves as a marketing tool, and it protects the product during transit. In other words, packaging is key when selling, and SLERS knows this well. SLERS is a local brand based in Cagayan De Oro and is known for top-quality meats and food products since 1969. It was established as soon as its founder, Fely Pelaez, perfected the process of making American-style ham. Soon, the business grew from its humble beginnings in Bukidnon to become a household name all over the Philippines. 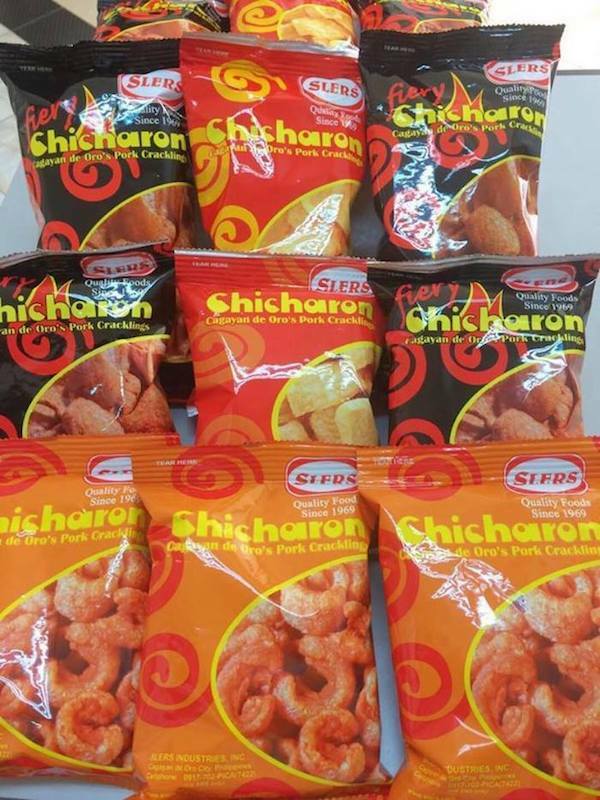 No trip to Cagayan de Oro is complete without shopping for SLERS pasalubong products, which include tocino, longganisa, bacon, pastrami, and the summer best-seller: chicharon. Here, Mercedes Pelaez Mejia, SLERS managing director and the founder’s daughter, shares tips on how to package products for travel and, ultimately, help grow an enterprise. Primary packaging is the first layer of packaging that is in direct contact with the product. For sodas, this is the bottle or the can; for chicharon, this is the plastic packaging. “Primary packaging protects the product and preserves the quality within its given shelf life,” says Mejia, adding that it should always put an emphasis on functionality and appearance. Not all food can sit at room temperature for a prolonged period. Therefore, it is a must to consider storage temperature requirements when packaging a pasalubong item. SLERS places frozen products in insulated bags, which can hold up to five kilos. “It can keep the product safe up to thirty-six hours, as long as the insulated bag is not left open to prevent defrosting,” relates Mejia. Meanwhile, styrofoam boxes are used for products in larger quantities and with longer transit time. “Ensure that the secondary packaging design is fit for the type of product being shipped,” reminds Mejia. Breakable products should be kept in containers that prevent movement, while frozen items should be packed in materials that don’t easily absorb water. One should also consider environmental sustainability. And of course, the packaging, especially primary, should be of food-grade quality. “Avoid over-packaging especially in a price sensitive market,” says Mejia. Examples of this are individually wrapped units like chocolates that are placed in another packaging, plastic-wrapped items that have natural coverings like bananas and corn, and multiple secondary packaging using various box sizes. Unnecessary packaging drives up a product’s cost, which will then be passed on to the consumers and might discourage them from buying. For more tips on growing your business, sign up to Globe myBusiness Academy today.